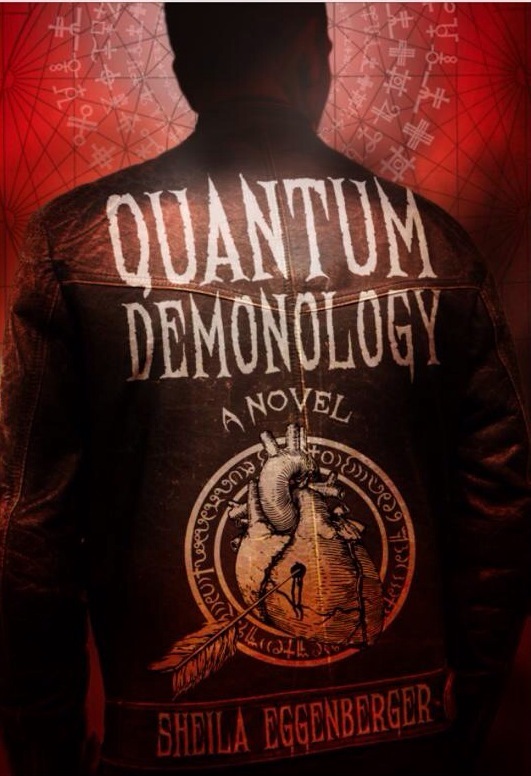 Quantum Demonology was – and I write this from the bottom of my blackest, most sincere heart – never meant to be a novel from the start. It began with a short story I called ‘Midnight at the Crossroads Café’ which the reader will know as the eventual Chapter One, and I had no intentions at the time of turning it into anything else. Next, I published it on my first blog called MoltenMetalMama, where I usually riffed on everything from fashion to sexual politics to rock’n’roll. I hadn’t thought of that. But I’m usually up for a challenge, so one Saturday night I wrote ‘Date with a Demon’ and in so doing, added elements from B horror movies and whatever else I could think to throw in. Of course I had to end it on a cliffhanger, and then I began to think about what else to add. Before I knew what hit me, I was writing a (first draft) novel. The decision came around the time I cooked up ‘Latte With Lilith’, and somewhere between chapters six and seven, I had a fairly good idea of how it would end, and meanwhile not one idea in Hell of how I’d get there. I suspect the fast pacing of the book owed a lot to being published as a blog serial one chapter at a time. The chapters were published as they were written within minutes of finishing an installment I usually (when I could) wrote in one go, and I hauled out all the novelist’s dirty tricks (and horrible habits). Usually, when I sat down to write it, I had no idea what would happen ahead of time, and only in a few cases did I know what to add along the way. I began in early November 2009, and by the end of December, I was a fourth of the way through. With a full-time job and many other commitments on my plate, I finished it in nine months. For that, I can thank my three readers at the time, who kept me on my toes, kept me writing and commented on the storyline as we went along this crazy train together. Other readers would follow later – aided, I suspect, by my references to the story elsewhere in other writing. What I learned was how to write a book (and how not!). And also that maxim all novelists know – sometimes, you don’t find your story so much as your story finds you. I also learned a great deal about my own creative process (a kind of stand-up improv), and above all else of trusting that process – in other words, it doesn’t matter that you don’t quite know how to get to your eventual destination, so long as you trust your instincts that the story knows where it wants to go. One real life event really threw me for a (bad) loop. On the early morning CET of April 14th 2010, it was announced that Peter Steele of Type O Negative had been found dead at age 48. His alter ego disguise gatecrashed my story in Chapter Three and refused to leave, and at that time, it was April 28th in my story and ‘Saint Peter’ was very much alive and kicking. I couldn’t bear the idea of killing off an immortal Polish alchemist (and comic relief) in disguise, so I kept him in the story. And embarrassed myself in public on a city bus later that day by bursting out in tears on a city bus so hard, an elderly lady comforted me. “Poor dear, did someone in your family die?” “Yes!” I bawled. The alchemist, meanwhile, is alive, well, as sarcastic as ever and living in Ditmas Park with his favorite redheaded Norse goddess in the sequel. That too is immortality. The book as it is published today was edited, revised and beaten into submission from deep within the black hole that was late October-November 2013 and a strangulation deadline. This is the story I wanted to write at the time, but couldn’t. For which I can thank my publisher, who knew precisely how to crack the metaphorical whip!